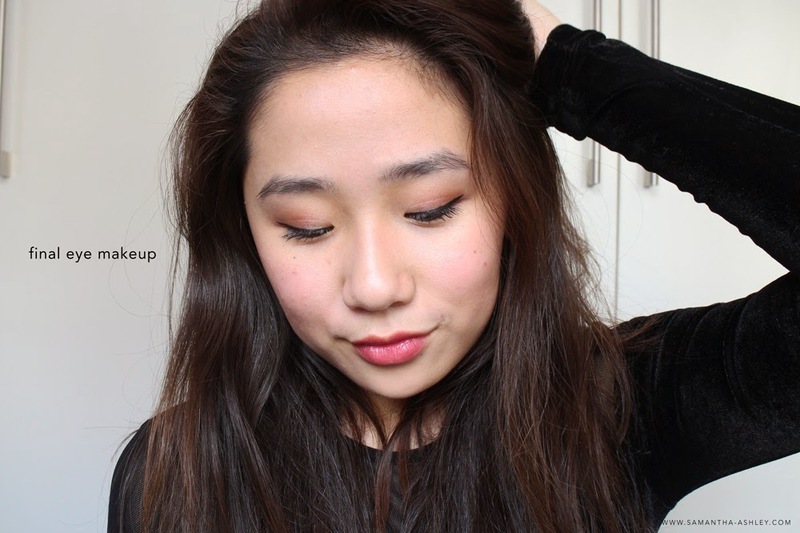 The eyeshadow palette (Shupette has-it-all) has been my go to palette to take out with me for days where I need to take my day look to a night look. I’ve also been gushing about how amazing the Tsuya skin base is too, it brightens and protects my skin without making my skin feel heavy. 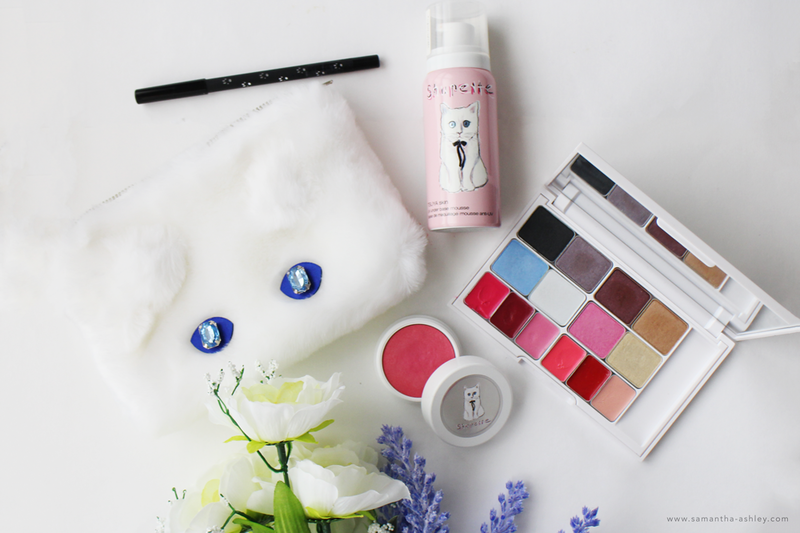 So in this post today, I’ll be doing reviews of the products that we were so generously gifted by Shu Uemura as well as showing you two looks that I’ve worn on numerous occasions to give you ideas on what you can do with your palette! With 1 kickass owner, a nanny and a personal driver, this cat now has its own collection and what’s not to love about the fluffy little fella am I right? 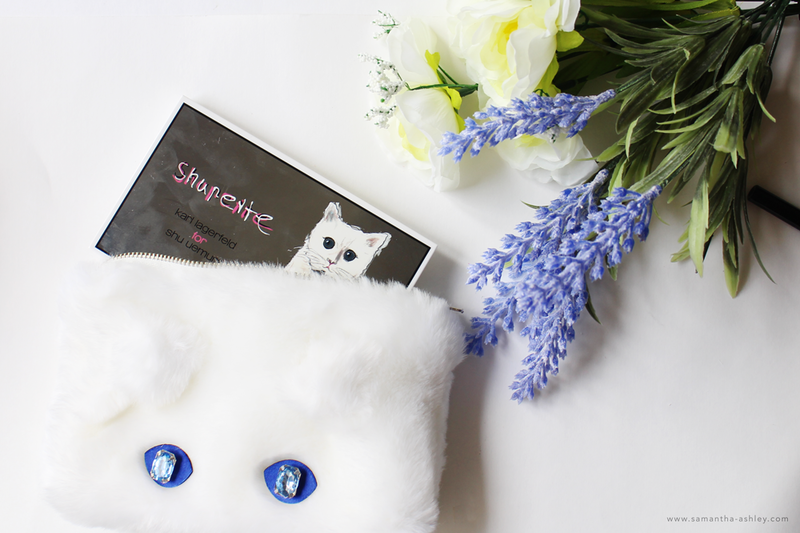 I adore ragdoll cats… man if only I could have a pet over in Singapore… This collection consists of everything you could want, from a base to prep your skin down to a furry little makeup pouch to keep your Christmas purchases this season. One can never have to many of those right? I know I have a different one for each bag with my touch-ups handy. See the cat illustration on the packaging? Yup! that’s sketched with Shu Uemura eyeshadow by Lagerfeld himself. Ikr? Eyeshadow? That’s…. a pretty pricey medium, but is one of Lagerfeld's favourite medium to use even when sketching his designs. Are you ready to hear my rave about the Tsuya skin base? It’s amazing. I’ve never quite worked with mousse formulations before and the first time I used the product, I kinda dispensed it without a care in the world and was a little overwhelmed. So when I tell you a little bit goes a long way, trust me. it does. I give the bottle a quick shake and lightly press the top of the nozzle to dispense a tiny dollop of the mousse. 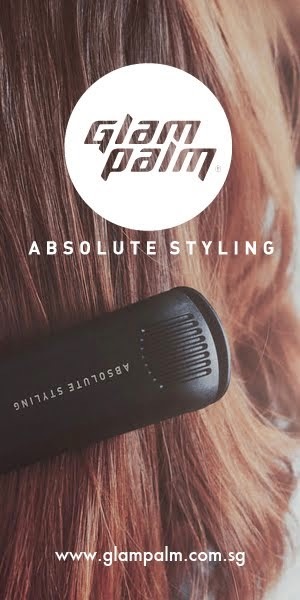 With rushed mornings, one thing I appreciate more than most are products that can be applied with my fingers and look just as natural. The warmth of your fingertips also helps to better blend the product in as well. With that I gently pat and press the Tsuya Skin base into my skin and I’m all set! Notice the difference? Your face might look a little pale to begin with but the product oxides to set into your skin tone within a minute or two. 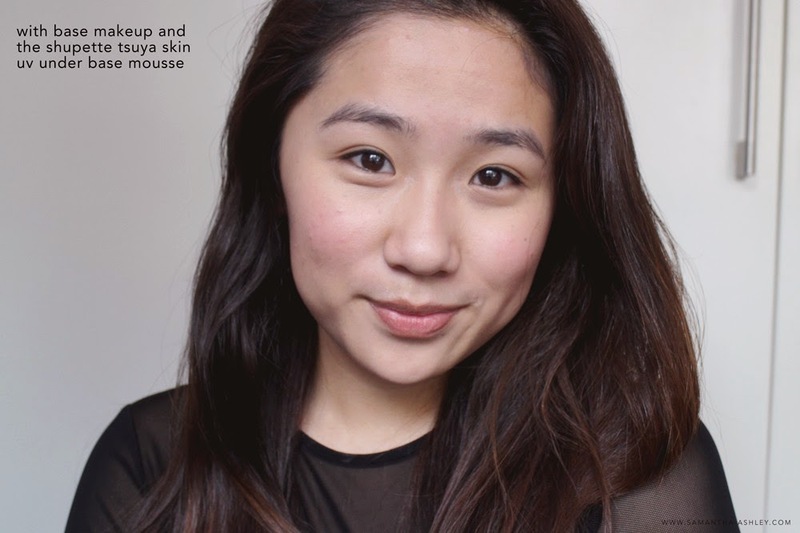 A little concealer, bb cream and the Shupette blush to pair with the Tsuya Skin base is all it takes! — now on to the eye makeup. Boy does this palette have it all, they’ve got taupes (a soft spot for me), silvers and colours, so that’s set their target audience to hmmm… everyone?! I’m not a fan of colours on my lids ( or within my wardrobe really) but c’mon guys, it’s christmas, a little shimmer and a pop of frosty blue won’t hurt anyone. 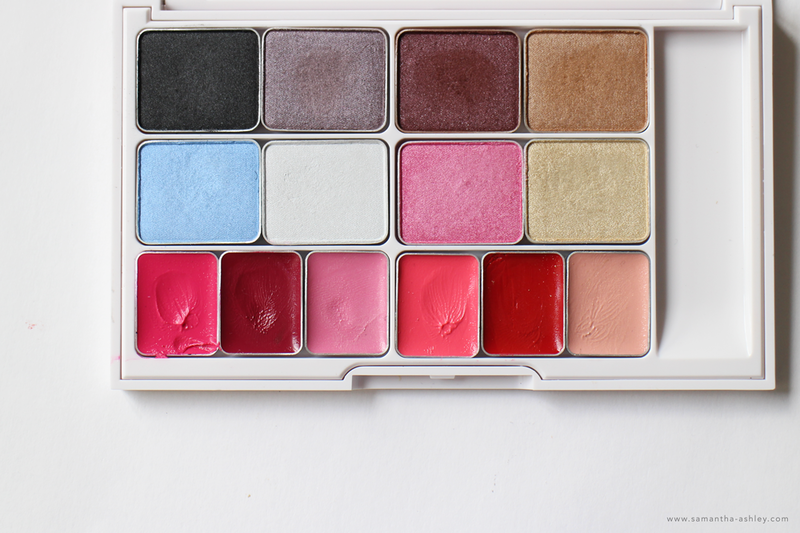 With 8 large full sized eyeshadows and 6 lip tints, this a palette you have to check out. 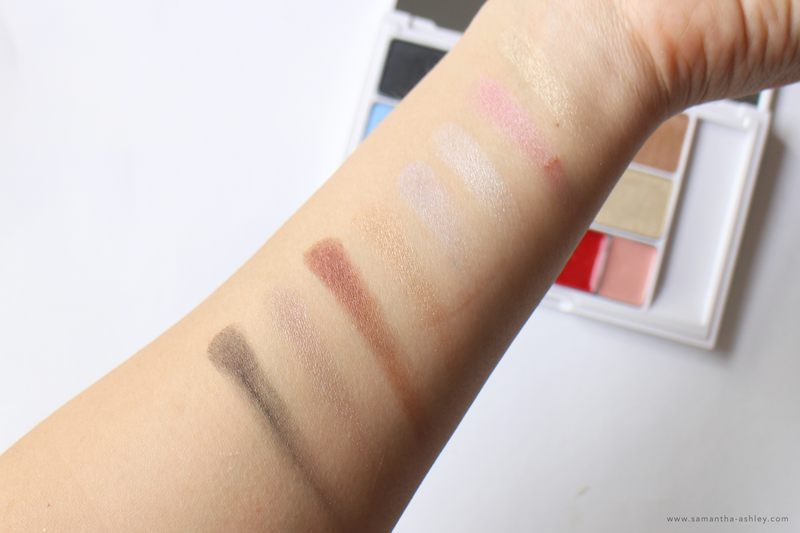 For a palette that’s got so much shimmer in it, the fall out is pretty minimal! 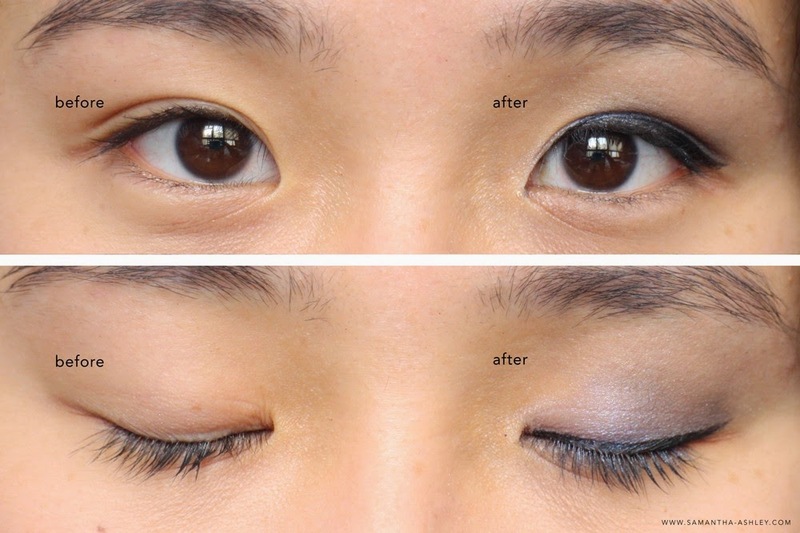 The formulation of the shadows last through the night and are very soft and easy to blend out. None of the chunky glitter business either, we’re talking beautiful, fine shimmers. Your lip colour is what sets your mood and I have never found a lip palette where all the shades are deemed wearable. 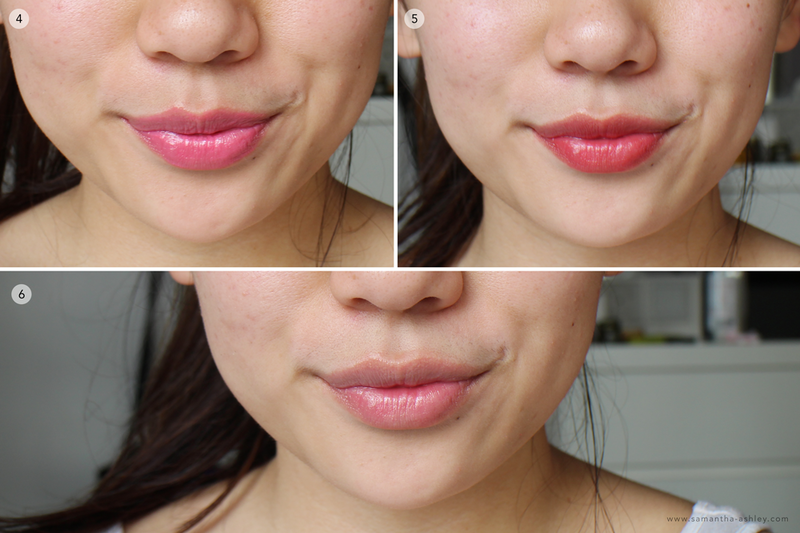 The lip tints are buildable, so here's a simple single swatch of the tints on my lips so you babe can visualize what it might look like on! They're labelled 1-6 from left to right on the palette above. From 1-6: Magenta, Violet, Pale pink, Salmon Pink, Deep Red and Baby pink. The colours are as These are lip tints, so the colours are build-able and though they don’t last incredibly long given it’s silky texture, the palette itself is of a perfect size to take out on the go for touch ups against the large mirror on the flip side of the palette. So for my first look, we’re going back to basics. Neutrals. You know, for those fancy afternoon outs for events or a little christmas shopping with some friends. These gorgeous bronzy shades bring so much dimension to my eyes as you can see, and against my pasty skin come the winter time, it warms up my face a whole lot more as well. 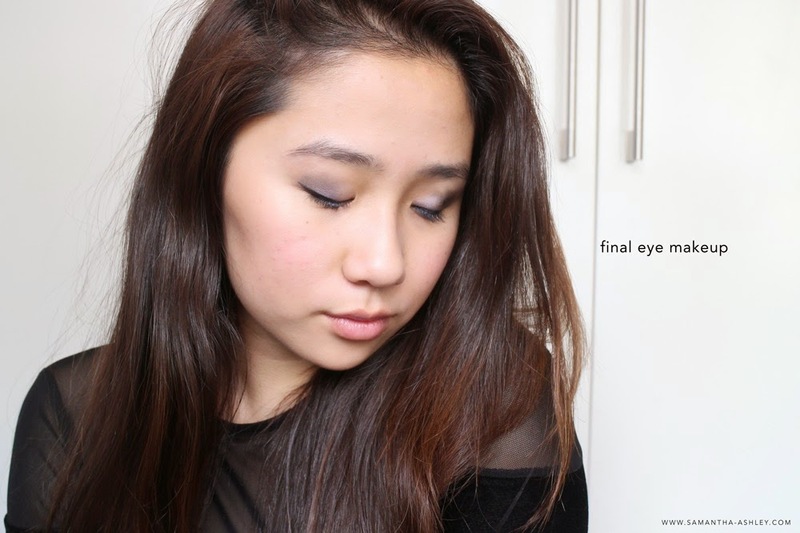 Top it off with a simple winged liner and you’re all ready to head out! 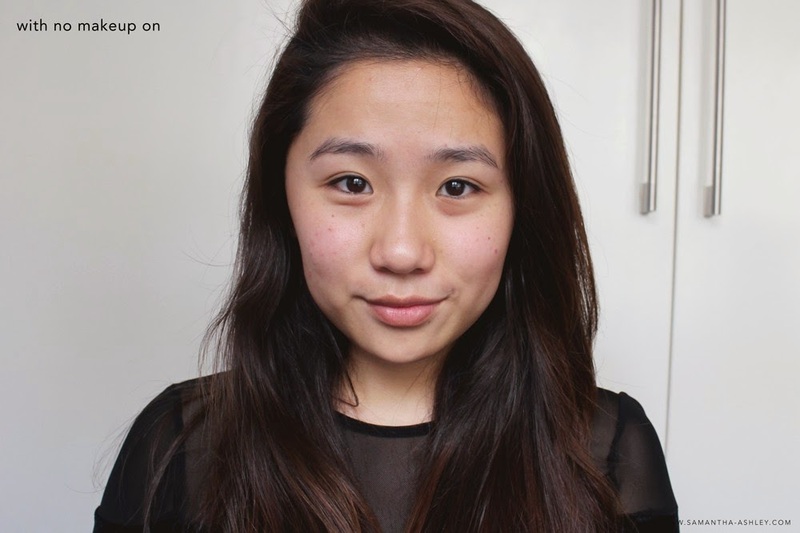 If it’s one thing Lan (The lead makeup artist for Singapore’s Digital Fashion Week) taught us is that if you can’t hide it, chances are you’re better of diverting the attention of those horrible undereyes or the possibility of your smudged out eyeliner on top of your lids. 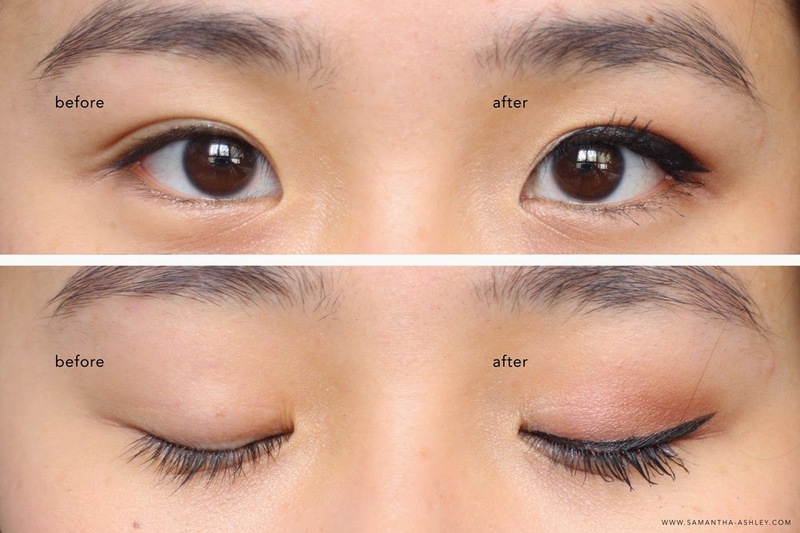 So, should your choice of liner smudge, it’ll look like its part of the look. 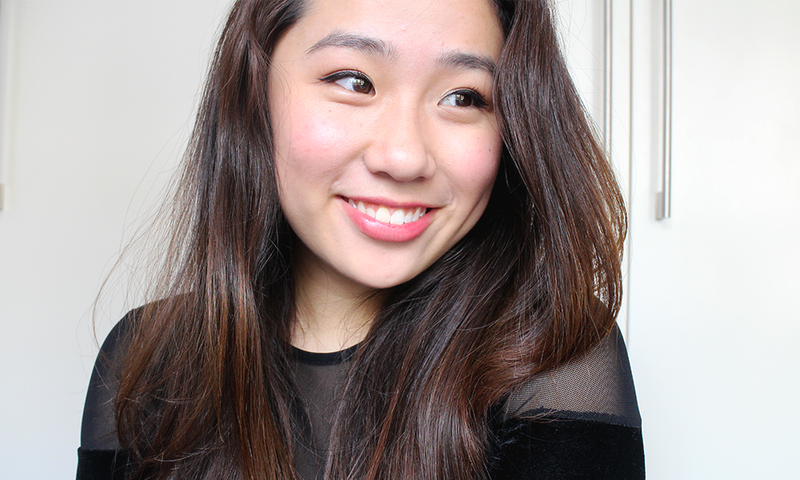 I’ve dabbled into the darker shades of the palette to create this subtle smokey eye, despite the choice of the darker shades, I found blending a complete breeze. One tip with smokey eyes is to always go in with your darker base first, so that when you dab the shimmer onto the centre of your lids, it’s not hidden behind any other shade. I rarely purchase pencil eyeliners in fear that they'd smudge but this doesn't budge at all. 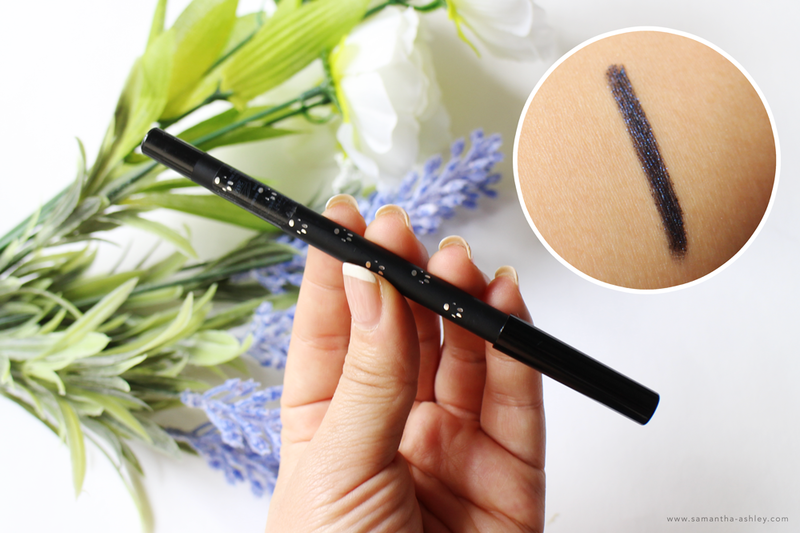 If you're not very adventurous with your eye makeup, the Eye-need-shu midnight black eyeliner is that subtle touch of glitter you need to add to your smokey eye to ring in the festive season. There are two shades to pink from so if Midnight-black is a bit too harsh for your liking, there's another pencil in brown for you too! There are not many all in one palettes… in fact, this is probably the only all in one palette that I’ve gotten so much use out of. Eyeshadows? good. choices of shades? good. 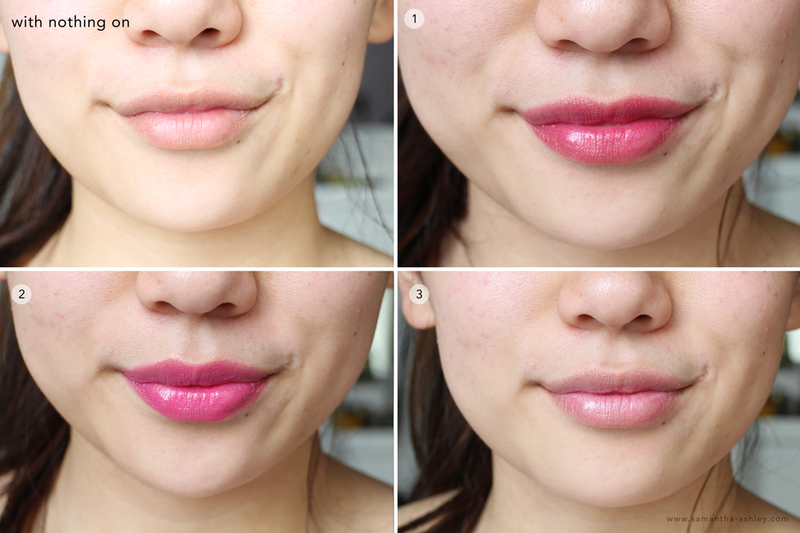 shades of all lip tints? good. big mirror? good. ( Friend’s reference right there ;) ) so really. What’s not to like? 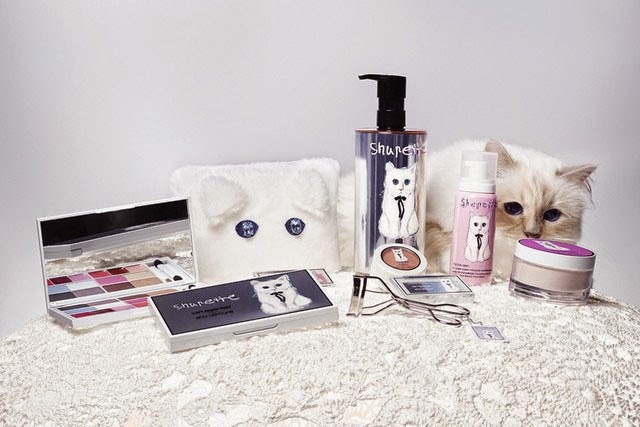 There are also various other products housed under the Lagerfeld x Shu Uemura collection as well which you can piece together as a lovely bundle for your beauty-crazed bff! 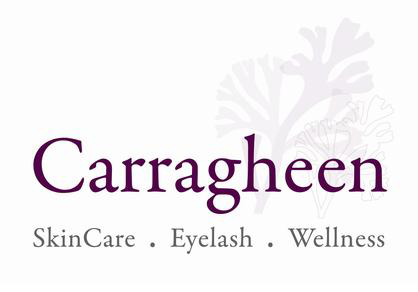 If you’d like to know more about the palette do leave us a comment and we’ll be sure to get back to you ASAP! We understand we only have so much time to go out and get the perfect gift so we’re here to help!